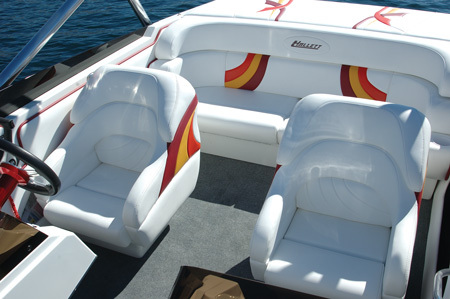 The Hallett legend began with custom ski boats over 50 years ago. That legend lives on with the 210-S, an exciting family sportboat that delivers impressive performance with V-8 Mercury stern drive packages. Overall Length: 20 ft.10 in. Maximum cockpit comfort for six to eight passengers with dual bucket seating, a wide aft lounge with padded engine hatch and a spacious open bow. 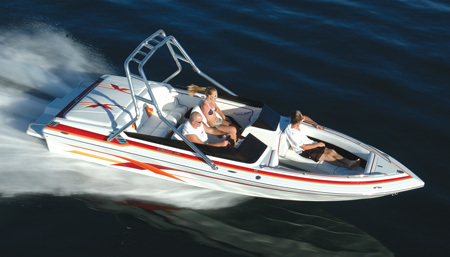 Looking for a fast, stable, great handling sportboat? 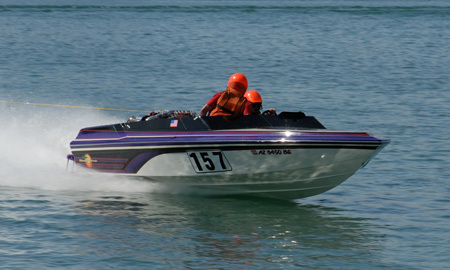 Hallett's 210-S is that boat, a proven winner on the national water ski racing circuit with custom high performance engines. 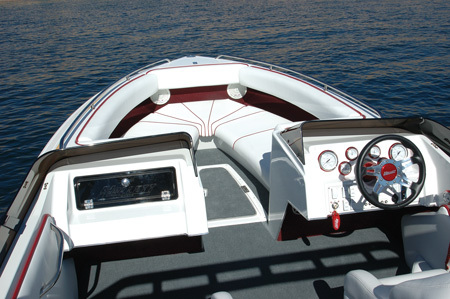 The roomiest bowrider in the 21-foot sportboat category. Easy walk-thru access and built-in ski storage. If you're in to wakeboarding, skiing and water toys, maybe you should consider adding an optional tow tower?